We often take for granted the people closest to us and neglect to acknowledge some of the greatest bounties Allah has bestowed upon us. We live in a world where love and respect for one’s parents is frowned upon and laughed at. Society has stripped us of our basic instincts… to love and respect those dearest to us. When the offspring become a cause of grief and anger (for their parents). Remember these teachings when dealing with your parents and reflect on the sacrifices they have made for you. Acknowledge them, respect them, show gratitude towards them and pray for them. 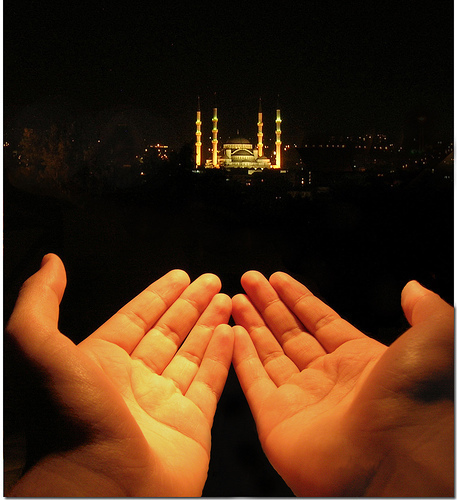 O Lord, forgive me, my parents and Muslims in the Hereafter. O Lord, show mercy on them as they have nourished me when I was young. Let us pray to Allah that He guide us to be respectful, kind, and obedient to our parents, and that we continue to show them humility regardless of the power, position, wealth, and influence we may possess. Let us also pray that we be patient, kind, thoughtful, and friendly with our children, as we guide them through their lives, and that we discharge our responsibilities towards them as required by our religion, so that Allah may be pleased with us, and may He Bless us and reward us, both in this world and in the Hereafter- Ameen. This entry was posted in Uncategorized and tagged Dua, Faith, Family, Islam, Koran, Life, Love, Muhammad, Muslim, Muslims, Parents, Prayer, Prophecies, Prophet, Quran, Religion, Respect, Sunnah. Bookmark the permalink. ← If those who burnt or threatened to burn the Quran had read the Quran, what would they have found?? ?